Harry Kane described scoring Tottenham Hotspur’s last ever goal at White Hart Lane as fuelling a dream, and the England striker can now spend the summer fantasising about his NFL idol Tom Brady celebrating the first touchdown in the replacement stadium. Kane has spoken openly of his admiration for Brady, and reportedly named one of his dogs after the New England Patriots quarterback. He could soon be getting even closer to his hero as, from next year, the Walthamstow-born Spurs striker and his teammates will share their new 61,000-seater stadium with gridiron stars. A deal struck with the football club will see at least two NFL fixtures played at the as-yet unnamed Spurs stadium in each of the next 10 years – and with a growing appetite for the American version of football this side of the Atlantic, the possibilities are far greater. At the moment, the plan is for existing NFL teams to play at the stadium on an ad-hoc basis, but could there eventually be a permanent franchise based in London? “I wouldn’t rule anything out,” says NFL UK managing director Alistair Kirkwood. 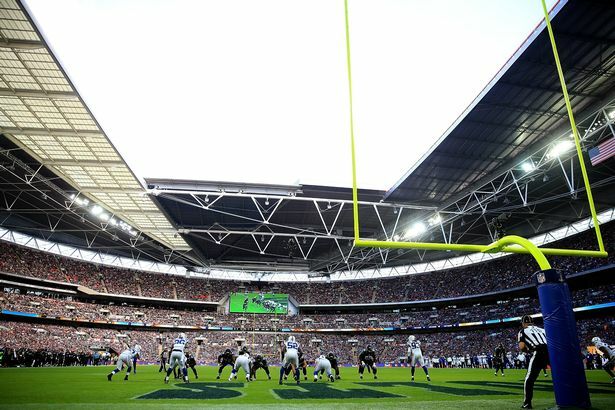 It is clear that the NFL wants to focus some energy on the UK market, and indeed will schedule 16 games in London over the next four years as a deal with Wembley is fulfilled. “We have committed to the English market and we’ll do more and more,” says Kirkwood. The reason for the move from the national football stadium to an as-yet unfinished venue, is just that – the chance to have a say in its construction. The NFL is paying an undisclosed sum of money towards the building programme and has been able to shape the design. Such customisation is not tinkering around the edges – it starts with the pitch itself. “There will be a retractable grass field on top of our surface – we haven’t worked out exactly what ours will be yet but it will be accessible within three to four hours,” says Kirkwood. Both sports will have their own dedicated players’ entrances, and NFL locker rooms will be created in a different part of the arena to the football dressing rooms. “This is quite important as we have 53 players in a team and, unlike football, many will be six’10” and 25 stone,” points out Kirkwood. The differences are not trivial. When American football was played at rugby’s Twickenham Stadium, a bar had to be closed and converted to a locker room. All this adds up to one major advantage for the NFL at Spurs – it can put on games quickly and smoothly without requiring days to set up and decommission. “What’s really great is you have the two most successful leagues in the world – the Premier League and the NFL – and the way the stadium is built, you have the Potential to get a game of football on the Saturday and ours on the Sunday,” Kirkwood adds. Despite the prominence it enjoys, the NFL is packed into just a 17-week regular season. “The schedule is really tight with tonnes of variables. Flexibility in terms of where and how we can play is a key factor,” says Kirkwood. Playing games in Londoners a dual benefits to the NFL. First it opens up the sport to a new audience, both in the stadium and on television, with the BBC screening three London fixtures last autumn. Then there is the opportunity to screen an extra game back in the US, at a time unfeasible for play domestically. “The NFL continues to dominate US ratings, and our games made up 43 of the 50 most-watched TV programmes in 2016,” says Kirkwood. “When we have early kick o s over here, at say 2:30pm, that’s 9:30am in New York, 6:30am Los Angeles, and we’ll get 10m people watching. In the region of 2,000 fans y from the US to each London game, along with more than twice that number from mainland Europe. It therefore won’t just be Spurs’ qualification cation for the 2017-18 Uefa Champions League that will be drawing sports fans from other countries to the new stadium. 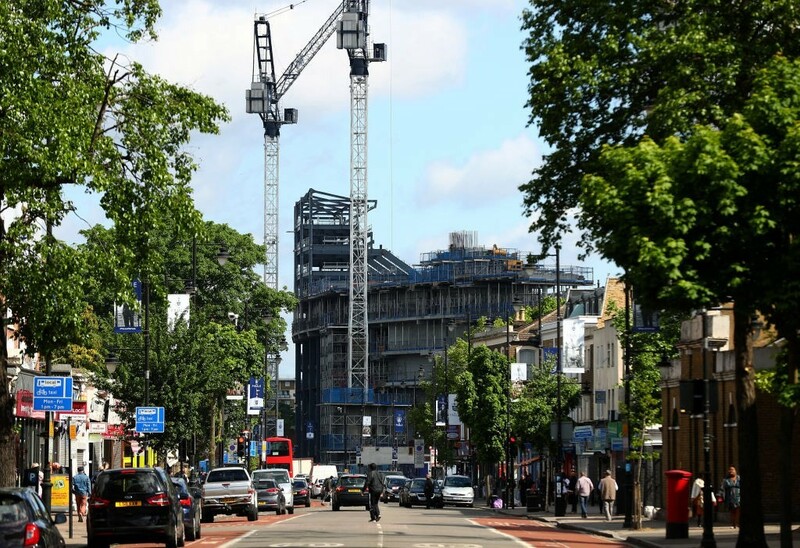 Of course there are benefits for Spurs as well – far and beyond the cash stumped up by the NFL towards the stadium project. For a start. all those US and Europe-based NFL fans will return home having been exposed to the new stadium, as will a pool of gridiron fans in the UK who may not yet have allegiances in the Premier League. Then there are the millions watching the stadium on TV back home in the States. “From a Spurs perspective, the whole thing starts when you remember the debate about going to the Olympic Stadium,” says Antony Marcou, chief executive of media and rights firm Sports Revolution. He said a ground share similar to those more common in Italian Serie A was not going to be appealing in the culture of the Premier League. “This was the next best option, ending someone like the NFL with big pockets. Marcou adds that the NFL can act much like an anchor tenant would in the retail world, its established presence helping to attract other big names. The commercial details of the deal struck between the NFL and the football club have been kept under wraps but Kirkwood says the tie-up is “good for both parties”. “We own the single-day merchandise records at both Wembley and Twickenham,” he adds. “We have 21 UK NFL partners, about six or seven of which are our partners in the US as well. Marcou thinks it unlikely that sponsors would want to partner both Spurs and the NFL due to the different audiences and markets but he believes there could well be some major deals struck by the stadium using the might of both sports. “Naming rights is the obvious one, but also things like the beer deal, catering and so on – and revenues could be carved up accordingly,” he adds. He adds that cross promotion of the two brands is a key opportunity, with both parties already active on this. “They’ve been using social media, with NFL players in Spurs shirts and so on. North America has always been a strong spot for Spurs – they’ll look to build on that and you can only see it working,” Marcou says. Kirkwood admits the NFL has to be careful not to overdo the Spurs links for fear of putting o fans of rival Premier League clubs. Marcou warns Spurs to be wary too. However, he is no doubt about the potential of the agreement. It could even eventually unlock the door to the biggest sport business prize on the planet. “If they could ever get a SuperBowl down there, it would be the cream of the crop in terms of putting the stadium on the map,” says Marcou. Kirkwood hails Spurs chairman Daniel Levy’s role in the deal. “Kudos to Daniel Levy for having the vision for the stadium and thinking outside the box in terms of partnering with us,” says Kirkwood. “It’s been a positive relationship. Daniel has been brilliant; very attentive and a great partner.” Kirkwood believes collaboration between sports will only increase. “We now realise we are not competing against each other,” he says. © Copyright SportsRevolution. All Rights Reserved.